As I read through the words, a few thoughts jumped into my head. Firstly, who pays these people to carry out such a mindless exercise? Was it ever likely to prove any different? Imagine, for a moment though, if there had been statistical support for the theory that wearing particular pants – let’s use “pants” as shorthand henceforth for all other garments and rituals – made it more likely that your team would win. Fans would no longer chant about the name of their star player. No, the call would instead be “You’re getting beat ‘cos we’ve got our lucky pants on!” If the opposing fans also responded in like form, would the inevitable result be a draw, or would it come down to the weight of pants? 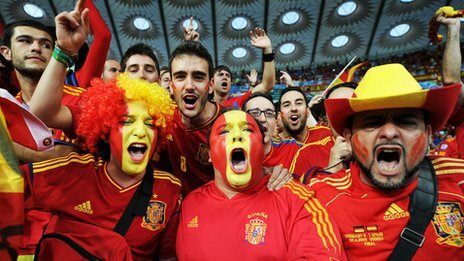 Home fans might resort to the numbers game and chant with confidence that “There’s more of us, so we’ve got more lucky pants!” Imagine their chagrin however if the opposition retort came back, “We’re wearing two pairs each!” Stop now! This is just a little too weird as my brain considers other scenarios. Let’s just be grateful that our underwear isn’t statistically significant and move on to my other thought. This was that the researchers had it all arse-about-face. Did they have their own lucky pants on their heads perhaps? I’ve been a football fan for over fifty years now, and I have as many rituals when my club is playing as most other people. If we’re playing a midweek game, I always wear a blue tie at work. I’ll always wear my club’s shirt when I watch them. There are others, but relating them here may open me up to justifiable ridicule. The key however is that I don’t wear, or do these, these things because I think they’re lucky, I do it – and I suspect many others do – because I want to belong. I want to participate. I want to contribute. I accept the bitter disappointments, and enjoy the fruits of victory, but they taste so much sweeter if you’re on the inside. Bart Simpson once described himself as one of the MTV generation, knowing neither highs nor lows. That’s not me – or any real fans I suspect – but how to illustrate this? Wait, I have it. I once journeyed home from work many years ago, and heard this chap on the radio conducting an interview at a now defunct Scottish football club’s supporters’ bar. Without giving too much away, the club was based in Glasgow and were bordering on extinction, the death-rattle of the club drowning out those of the fans. The club was adrift at the bottom of one of the Scottish lower divisions and hadn’t paid the players for months. The Physio had played in goal in the last game, because the only ‘keeper on their books was injured. You get the picture, I’m sure. 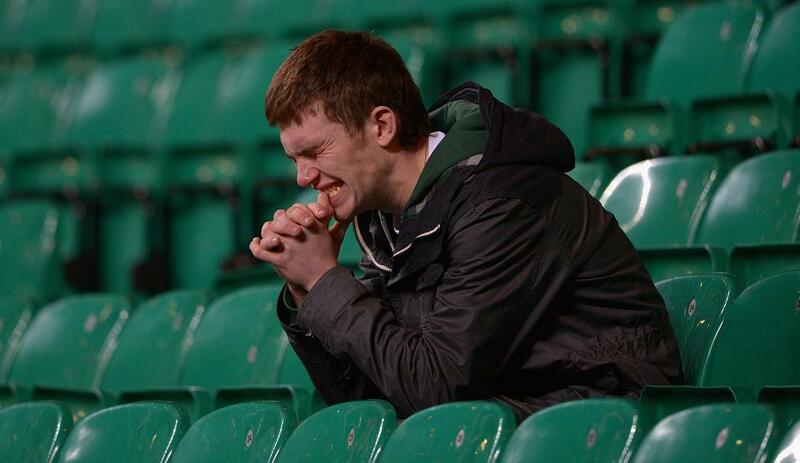 Only the true football fan can feel the terrible lows of supporting a club. Anyway, this journo-type asked one of the supporters why he stayed loyal to the club. Why not, as they were situated in Glasgow, take up with Celtic or Rangers? Indeed, why not Motherwell. This supporter then gave the most complete description that I have ever heard about “fandom”. He related how one can always change jobs, move house, even get a divorce, but if you’re a fan, you can never change your team, because they’re not yours – you belong to them. They’ll break your heart and take your money. You’ll vow to be finished with them and that you’ll find someone new, but you can’t. You just belong to them. Simple as. End of. I thought that was brilliantly perceptive and encapsulated the point that I’m trying to make. He was on the inside. He willingly took all of the pain, and shared it. He was never going to change his club because if he had, it would have meant that he had never truly belonged in the first place. It’s a bit of a weird thing this. If you’re a fan, I’ll bet you can empathise with the thought, even if you may not totally believe. If you try telling it to a non-fan – as I have – they’ll look at you a bit gone-out, because they don’t, they simply can’t, understand. But then, there are the incredible highs as well! So there you have it, to my mind fans don’t wear ‘lucky’ pants or anything else for that matter, because they think it’ll make a difference; they do it because they belong. Right, my guys are kicking-off in a bit, so I’m just going to don my shirt and get settled into the zone and I don’t care if the opposition fans are wearing their lucky pants, or even if they’ve gone for the double reassurance of wearing two pairs – ‘cos I’ve got three on! (This All Blue Daze article was originally produced for the ‘offisderulepodcast’ website.